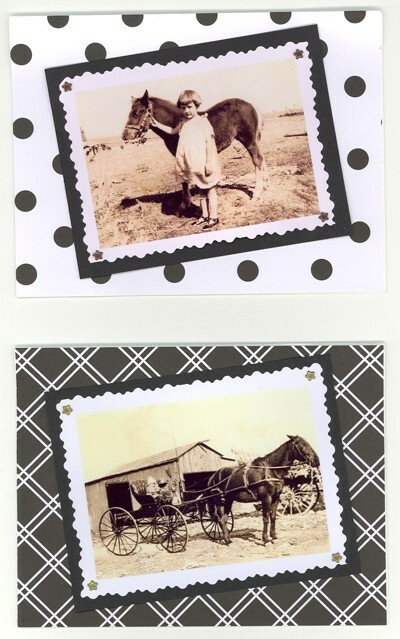 Beautiful and fun personalized cards can be created with photographs. 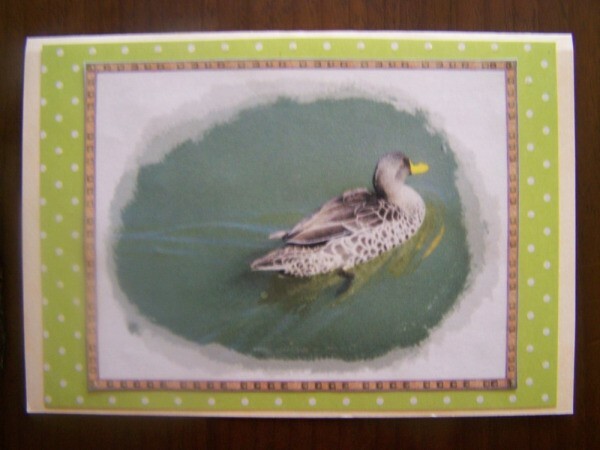 This is a guide about making photo note cards. I'm not a scrapbook person, but some of my friends who are encouraged me to try to make these note cards. I used old vintage photos of family members to make them special. I scanned the photos and had copies made. Use white card stock, 8-1/2 x 11 inches. Cut in half to make the card. Fold each one in half. I bought a pad of paper with different black and white designs at the scrapbook store to use as background. Cut each piece to 5-1/2 x 4-1/4 inches and use double-stick tape to tape it to the top of the note card. I trimmed around my photos with craft scissors, glued the photo to a black piece of paper just a little bigger than the photo, and inserted special brads shaped like stars that I bought at the scrapbook store in each corner. Tape this to the card. And you are done! 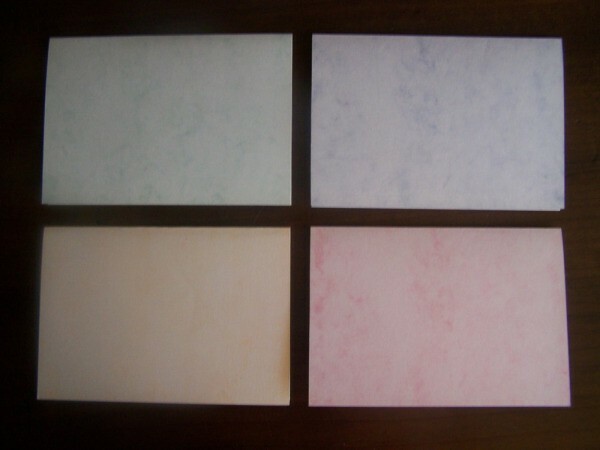 You can buy 4-3/8 x 5-3/4 inch invitation envelopes at the store that will fit these notes perfectly. I'm giving these as gifts to family members this Christmas. I'm sure they will love them! 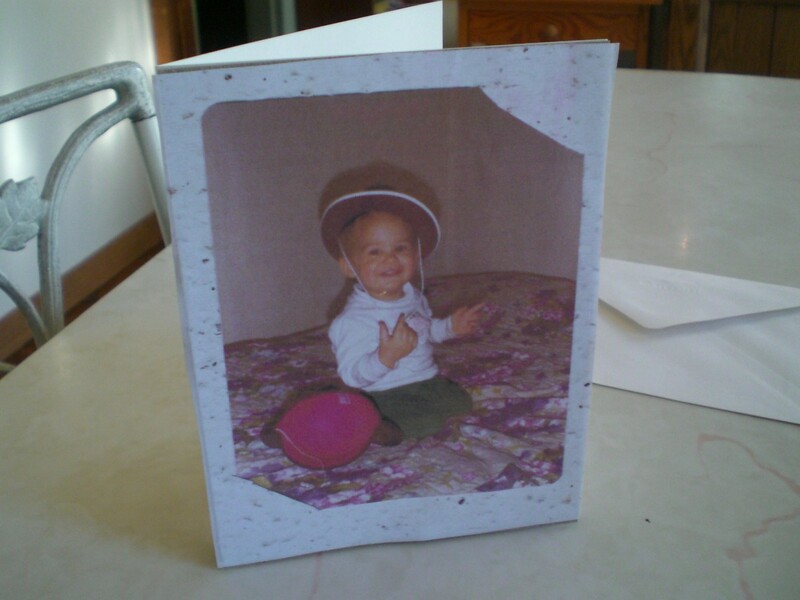 To make a special card for my son's 40th birthday, I scoured over my precious photo albums. I scanned a particularly cute photo on my printer and printed it out. You could use the original photo if you want to give it to them instead. 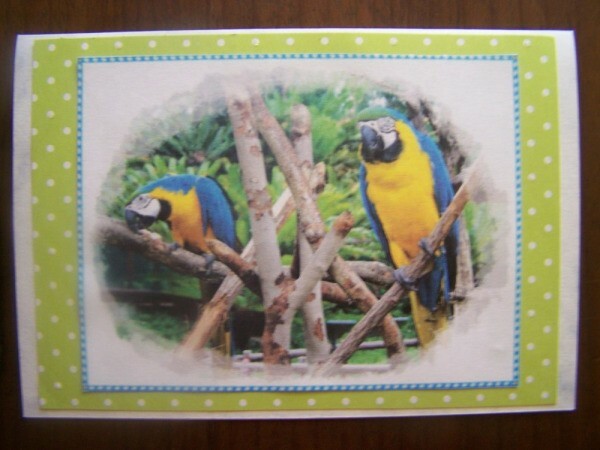 I cut a rectangular shaped, stronger stock of paper, folded it, and glued the family photo onto the front of the card. Use rubber cement and it won't soak through any paper and is totally removable. I wrote my own special message to him inside the card. He and his fiancee were thrilled to see it! I decided to pull out other family members in photos and scanned and shared their photos with them as well. They were so thrilled for the new old photos of themselves, and so was I! Our older photos are historic treasures and memories of your family. Share them! A friend of mine is celebrating her birthday early in January. After all the expenses for Christmas, I need to budget carefully, so I thought about making her a photo gift. During our summer break, I went to Montecasino Bird Gardens, where I took several photos of colorful birds. I decided to turn some of these photos into a photo gift, comprised of 4 cards suitable for any occasion. Note: One can also use just one photo, making a set of cards all with the same photo. I used PhotoScape version 3.6, which can be downloaded free of charge from http://www.photoscape.org/. I found this cardboard at a scrapbook supplier. Fold each piece of marble cardboard in half to create a card sized 5.7 inches x 4.1 inches. Use the ruler to make the fold neat and smooth. For each card, glue the 3.9 inches by 5.4 inches piece of polka-dot cardboard to the front of the card, carefully ensuring that it is an equal distance from the edges. With the PhotoScape program, from the different frames that can be added to the photo, choose the Cali08 frame. Save the adjusted photo onto your computer, and then close the file. Reopen the file with the PhotoScape program, and from the different frames that can be added to the photo, now choose a matching frame from the Patterns, setting the width at 200%. Save the adjusted photo onto your computer. Then, print the picture via PhotoScape, using the 3 inches x 5 inches size option. Cut out each photo, and glue each photo to the front of the card, carefully ensuring that it is an equal distance from the edges. 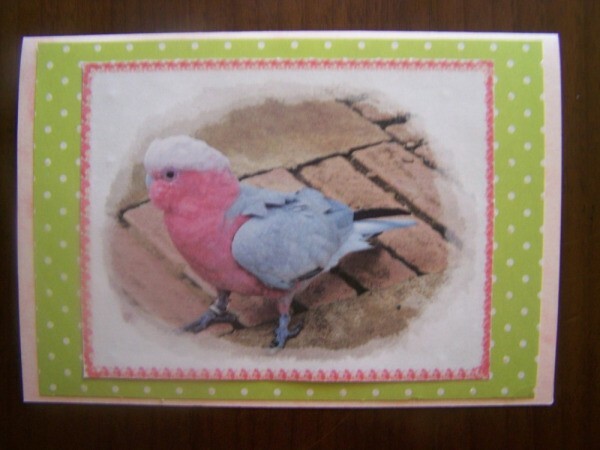 For each card, glue the piece of green paper to the inside of the card, where a message can be written. 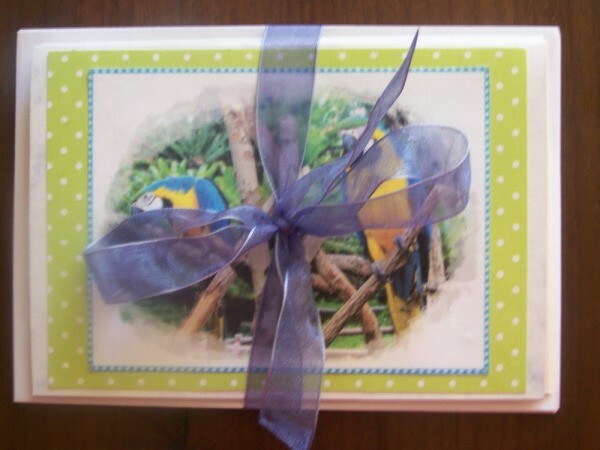 Use a decorative ribbon to tie the cards and envelopes together. Photo 1: Fold each piece of marble cardboard in half to create a card. Photo 2: Card 1 of the completed set. Photo 3: Card 2 of the completed set. Photo 4: Card 3 of the completed set. 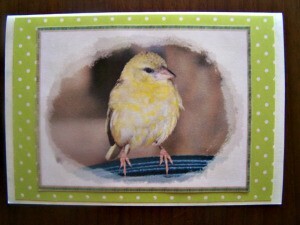 Photo 5: Card 4 of the completed set. Photo 6: Use a decorative ribbon to tie the cards and envelopes together.